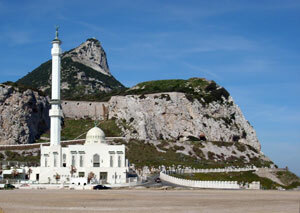 There are a number of significant and historic buildings to be found in Gibraltar. Some, like the impressive The Ibrahim-al-Ibrahim Mosque at Europa Point on the southern tip of Gibraltar, are modern wheras others date back to the sixteenth century. This building was a gift from King Fahd of Saudi Arabia and took two years to build at a cost of around � 5 million. Local historian and author of a number of books, Dr Sam Benady explains the origins of some of the others here.